As a windsor newborn and maternity portrait photographer, I am so excited to welcome the newest addition of your family. 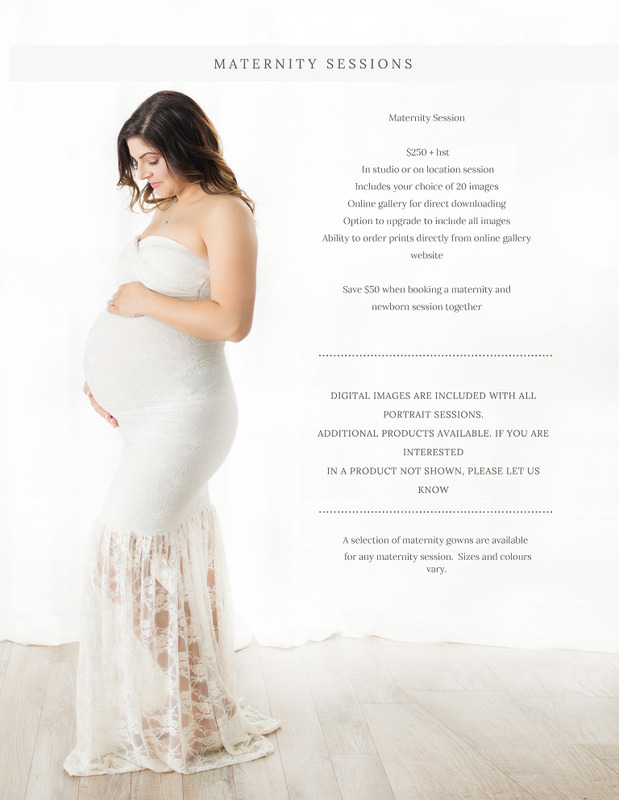 If looking to book a maternity sesssion, please note they can be done in studio, for a more artistic session, or they can be done outdoors in a more lifestyle family session. I recommend booking your maternity session between your 7th and 9th month , but really it is when you feel comfortable. I absolutely welcome ( and encourage ) your significant other or children to be involved in the session as well. Afterall it is truely about family. We do hae a variety of maternity gowns for use during your session if you wish to borrow one. Having photographed over 700 newborns since opening my business, I can promise you a fun, relaxed and creative session. Newborn sessions can be done in studio, which is a more creative, posed session, or in your own home for a lifestyle session. I recommend prebooking your newborn session based on your due date. We realize that babies don't always come on their due date, so of course we can move your appointment around depending on when you deliver. We have many many set ups and props for use during any studio session. We also welcome ( and again encourage) parents and sibling to be involved in the session as well. If you have any questions regarding a maternity session or newborn session please don't hesitate to contact us. 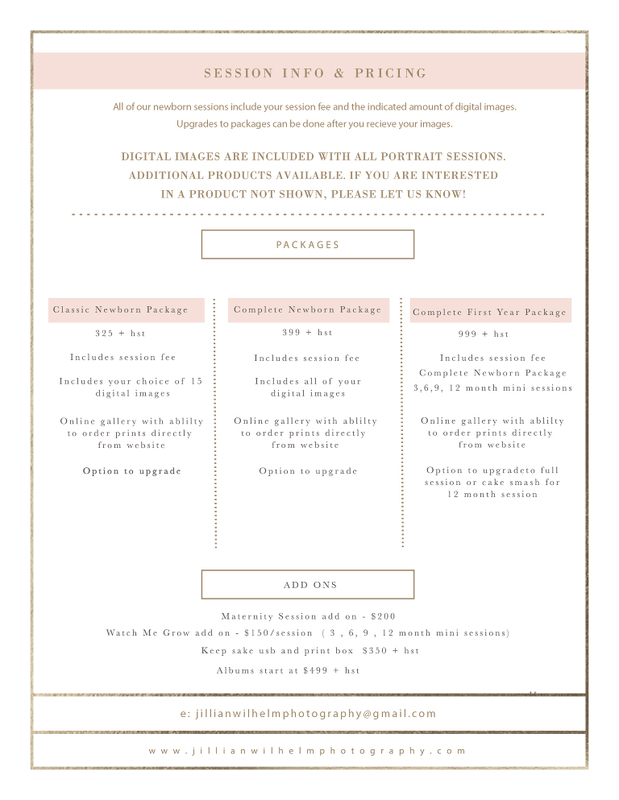 © 2019 Jillian Wilhelm Photography|ProPhoto Blogsite|Designed by Seaside Creative.